Junior defender Shaylee Petersen dribbles the ball in Weber State’s season opening loss to Westminster on Friday. The Wildcats women’s soccer team fell to Westminster 1-0 during a rainy Friday night season opener. Westminster scored on a bobbled penalty kick in the 79th minute, and that proved to be enough to win the game for them. The Wildcats, statistically, outplayed the Griffins offensively (14 shots on goal versus nine) and defensively had better control throughout the game. However, a late penalty kick by Westminster’s Abby Holbrook, combined with the slippery weather conditions, proved to be the one and only goal needed to decide the game. Though upset, many of the players from the team were still optimistic. Senior midfielder Kendra Smith showed that optimism as well as shared in the disappointment. Westminster goalkeeper Abi Yanke dives for the ball as the Wildcats attempt to score. 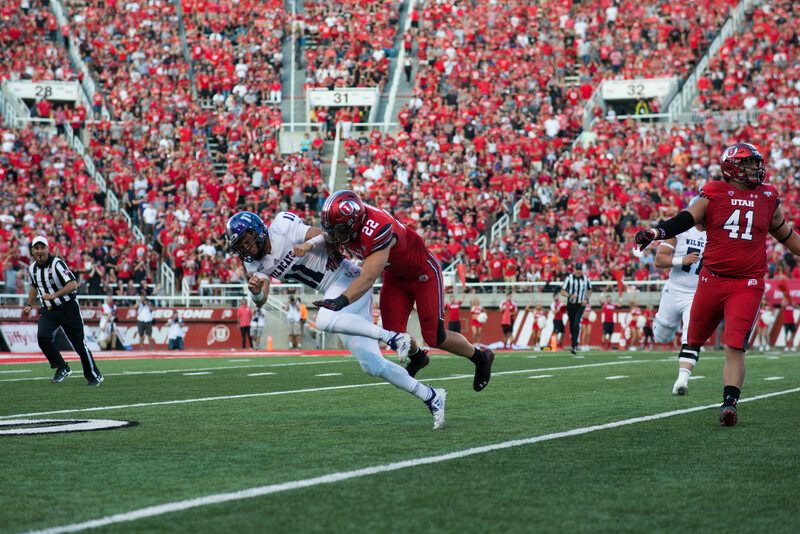 Weber State was shutout 1-0 in their season opener, the first time they’ve been shutout in a home opener since 2012. Both the coaches and players spoke positively of the team’s performance, and knew where they could improve. Weber State senior midfielder Mackenzie Peck throws the ball back into play during Friday’s match against Westminster. The Wildcats lost 1-0 on a late penalty kick. With Friday’s game, the Wildcats begin the season with a loss (0-1-0) and move on to play Omaha, another non-conference opponent. They will not begin conference play until Sept. 26, when they travel to face Montana. 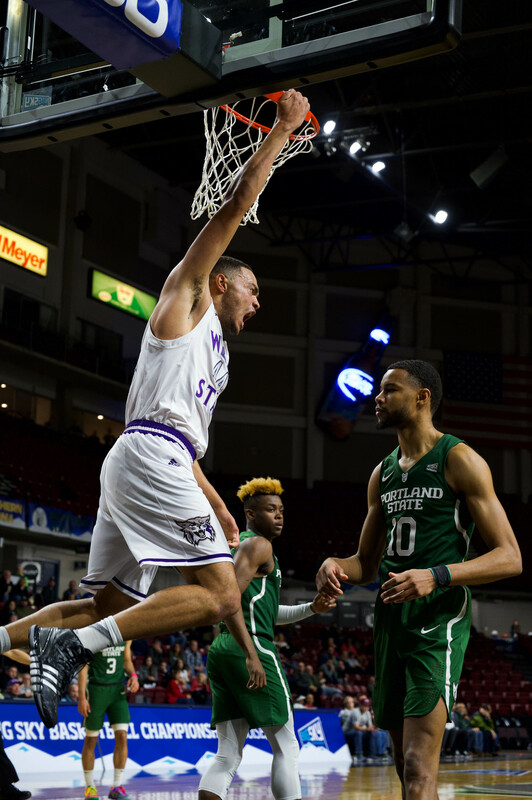 The Wildcats were ranked second in the preseason coaches poll in the Big Sky Conference, and are the reigning conference champions, finishing the season last year at 10-5-5 (5-2-2 in conference play). Coach Crompton is looking forward to the game on Friday as a good opportunity to help the players develop and grow. “I believe one of the best ways to get the bitter taste of a loss is to go out and play in another,” Crompton said.